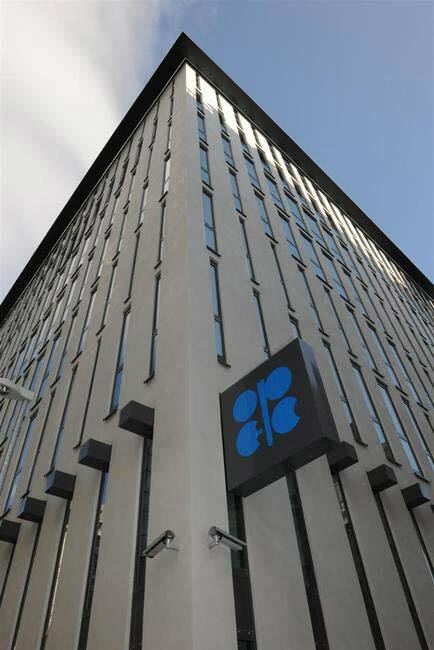 Oil production from the Organization of the Petroleum Exporting Countries (OPEC) rose by 40,000 barrels per day (b/d) to 32.38 million b/d in March, driven by sanctions-free Iran, according to the latest survey of OPEC and oil industry officials and analysts by Platts, the leading independent provider of information and benchmark prices for the commodities and energy markets. The drop in March oil production volumes from United Arab Emirates (UAE), Libya, Nigeria and Venezuela was offset by a rise in output from Iran, which accounted for the single largest increase within OPEC, followed by smaller increases observed in Iraq and Angola. Iran’s output in March climbed by 110,000 b/d from the previous month to 3.23 million b/d. Its production is up 340,000 b/d since December, as it seeks to regain its former share of the global oil market. The rise is less dramatic than the country’s leaders had predicted, but it is still a notable increase as former buyers return to the market. The demand for Iranian crude has jumped, particularly from Indian and South Korean refiners. France’s Total, Spain’s Cepsa and Russia’s Lukoil have noticeably returned as customers, having emerged since the West lifted sanctions against Iran on January 16. Even more Iranian crude is expected to flow this month to Europe, buoyed by an increase in the level of reinsurance coverage for shipments of Iranian crude oil. European banks are gradually showing more confidence in financing Iranian crude transactions. Iran has said it is targeting production of 4 million b/d in the new Iranian year, which started March 20. In Iraq, oil output rose 30,000 b/d to 4.16 million b/d in March, largely on the back of a substantial rise in exports from the country’s southern terminals. However, the increase in southern-terminal oil exports was blunted somewhat by a decline in total volumes from the semi-autonomous Kurdistan Region, where vandalism and attacks continued to disrupt exports via the pipeline which transports crude from northern Iraq and Iraqi-Kurdistan to the Turkish Mediterranean port of Ceyhan. Similarly, Angolan output in March was also up by 30,000 b/d to 1.80 million b/d, the highest production seen since December.